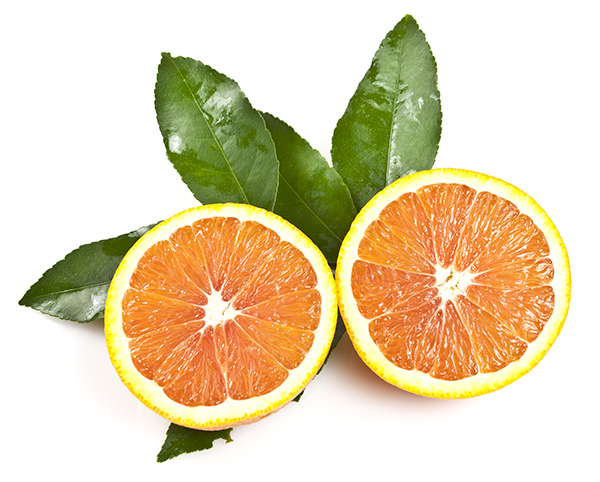 The Cara Cara orange fruit is medium, deep orange with a pink tinted flesh and a small navel. It's name is derived from a limb sports in Venezuela. The reddish internal color is caused by the presence of the antioxidant lycopene which is normally found in tomatoes. The salmon pink hue makes this fruit stand out from the rest and looks wonderful in salads. This navel fruit holds well on tree, but the color may fade. The tree ranges from small to medium. The foliage is vaguely variegated.